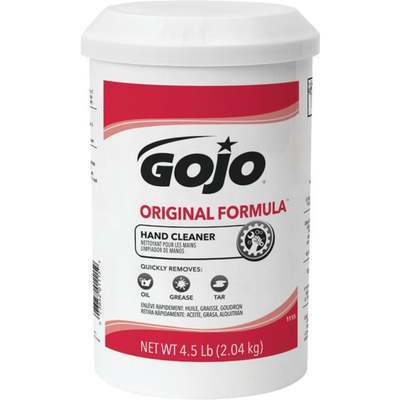 Gojo original creme formula contains lanolin and soothing emollients. For removing heavy grease, tar, and oil. Use with or without water. Rub then wipe clean with a towel or rinse off. No harsh solvents.